Botox cosmetic is a purified protein that can temporarily reduce frown lines. It works by blocking nerve impulses, leading to reduced movement of the treated muscles. With less movement, the skin surface gradually smoothes out and the deep lines fade. In addition, there is new research that suggests that Botox injections may slow the formation of new or deeper wrinkles. Thus, younger people are now electing for Botox as a preventative procedure. 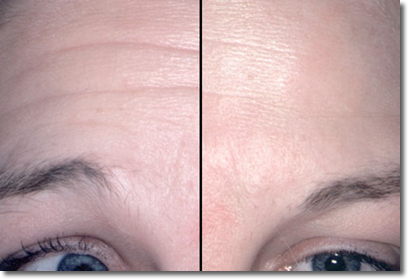 Botox typically lasts 3- 6 months and is FDA approved for patient 18 – 65 years old. Botox in ethnic skin: T vhe tiny needles used for Botox lead to very minimal bruising, marks or redness. However, as ethnic skin takes longer to recover, I advise you to plan your Botox procedure at least 2 weeks before a big event.